Hey guys! Todays word is about the beautiful brook of The Lord. A brook is a small stream, though His word has caused me to see this brook as He sees it, BIG. I see a small stream, Elijah saw a small stream, but God sees a big stream because He is not a God of mediocrity, He is not a God of small, He is a big God, He is a God of greatness. The brook of man is small, unreliable, likely to run dry. The brook of The Lord flows with the fruits of His love, runs with life, is reliable, and it never runs dry. The brook of The Lord revives, replenishes, restores. The first thing that The Lord commanded Elijah to do was to get away from where he was. God then commanded Elijah to go eastward, to go into a new direction. He commanded him to move from where he was into the place that He wanted him to be in. 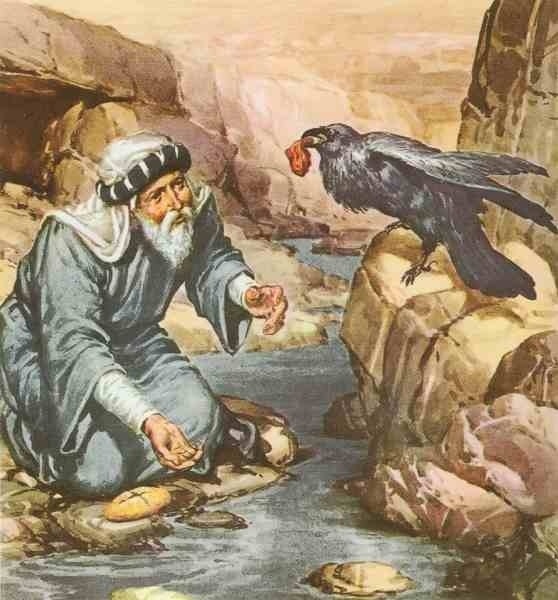 The Lord commanded Elijah to hide by the Brook Cherith, and finally caused ravens to feed Elijah! So in summary The Lord told Elijah to get away from where he was, and Elijah obeyed. When Elijah obeyed he moved into the place that The Lord intended for him to be in. The Lord reassured Elijah that he was not alone by hiding and protecting Elijah in the brook of His love. Finally Jehovah Jireh our provider, provided for Elijah sending forth ravens to feed him which strengthened him for the journey ahead. This is the extent of the love that The Lord has for us. He hides us in His love, He protects us in His love, He strengthens us in His love, and His love brings us back on track. We need not worry because we have a friend and His name is Jesus! Our God is a God of hope. The same God that sent forth ravens to feed Elijah in his state of hopelessness is surely the same God that is able to turn any situation around! The brook dried up and so what! The brook is not your source God is! Your job is not your source God is! The Lord makes a way where there seems to be no way. He works in ways we cannot see. We cannot see greatness in the small stream but He can, because He makes the brook great therefore He will make a way for you and me. He will be our guide, draw us closer to His side. With love, provision, and strength for each new day. He will make a way, He will surely make a way! Don’t fret when the brook dries up. He said oh what peace we often forfeit, oh what needless pain we bear! Unnecessarily bringing stress and depression upon ourselves and for what only to destroy ourselves. He said all we need to is carry everything to God in prayer, and He will make a way where there seems to be no way! Listen we have the word of The Lord, why are we worrying for?! He has made a way, though this way seems strange. Elijah is in need, his need can be solved in the house of a widow, but the widow is probably in need herself, surely Elijah would be a burden to this woman, and worry kicks in again. Elijah has just had ravens feed him surely it couldn’t get any stranger than this lol! We serve an extraordinary God trust Him it might not make sense now but just know that it will. Just remember if He did it for you then, then surely He is able to do exceedingly abundantly far above all we could ever ask or think! For He gives us all things to enjoy. In His presence there is fullness of joy. At His right hand there are pleasures evermore, and He surrounds us with His favour! The earth is full of His goodness, the earth is filled with His love. Just arise and go with His flow. The Lord is so speaking to me right now! It may seem so strange where he is asking you to go, what he is asking you to say, who he is asking you to speak to but like Elijah lets just rise and go, and do whatever it is that The Lord is telling us to do. The widow did not shout at Elijah, she didn’t curse him. Yes she saw her current situation, she saw the little that she had but she agreed to the word of The Lord. The widow saw death, she saw little, she saw a hopeless case, The Lord saw an opportunity. The Lord saw ahead of Elijah. The Lord saw an opportunity to bless the widow through Elijah. Elijah did not see it, but he obeyed the word of God. The widow did not see it, but she obeyed the word of God. In the midst of every crisis there is a blessing. No matter how big or small the crisis may be. Remember Elijah’s crisis was the brook, and so was his blessing. One minute it was full of life the next minute the brook dried up. Was that really a crisis? No it was a blessing as this led him to the widow in which The Lord blessed. Now the blessing has changed into a crisis just like that. Isn’t this the perfect opportunity to start blaming God, cry, shout, blaspheme? No! Where’s that going to get you absolutely no where. This is the perfect time to begin putting faith into action. Well how do I do that? Well it’s simple by remembering what The Lord has done for me, by remembering His love for me, by remembering DaFruits of His brook. It’s the perfect time to pray and not feel sorry for self. It’s the perfect time to let His living waters flow over your soul from His beautiful brook and to let His Holy Spirit come and take control, and every situation that has covered your mind now rebuke them! For all your cares and burdens unto Him you roll! The problem is that we just do not understand how blessed we are. We’re too blessed to be stressed! He alone is able to turn tragedy into blessing. He alone is able to turn worry into perfect peace. He alone is able to turn mourning into dancing.